I know it is my 'Dhrustata' to embark on a task of writing commentaries on our beloved Guruji's latest work 'Matruka Yantra Rahsyam'. I had a glimpse of the colossal effort Guruji has taken in the research on the subject through many sittings I had with him for the discussions. I understood a mediocre mind will be incapable of understanding the secrets of this most secretive Yantros and I was terribly apprehensive about the journey I have to take. But I managed with his 'Ashirwads' and Mother's grace. 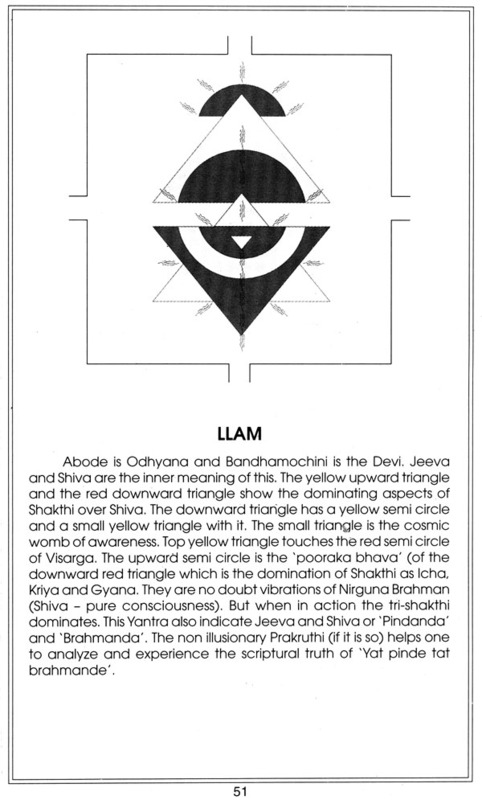 I have made an effort to elaborate on the technical and spiritual aspect of each Yantra and tried to expose the hidden meaning as much as Sastros allow me to do so. 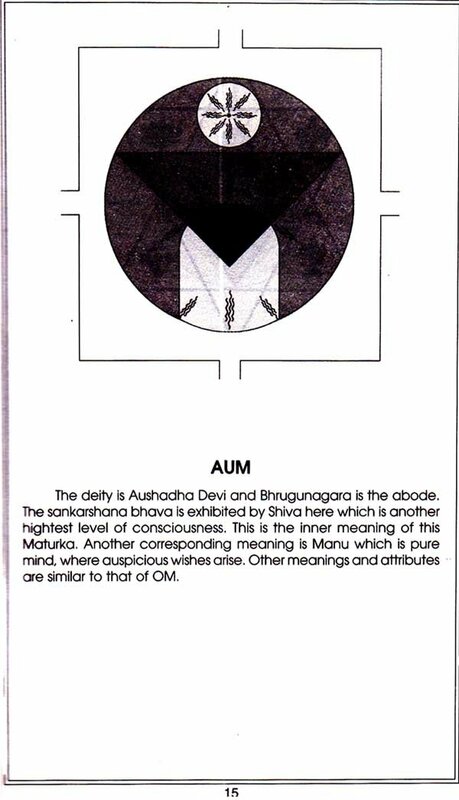 Actually a practitioner can write volumes on each yantra basing his personal experience. 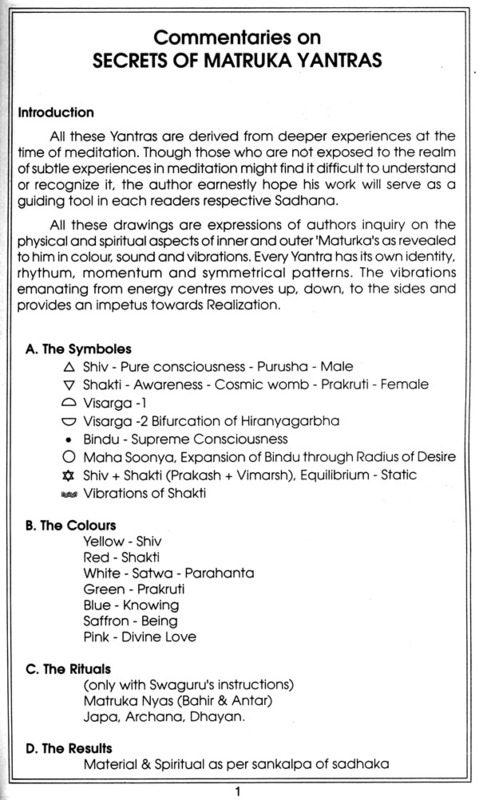 The Colours used, Designs, Vibrations and the Divine love one feels while meditating on it give great scope for many books. The experience is one that of Soham, merging with the real self which Guruji lovingly calls 'Am ma' . Thanks to Guruji and Guru Para m para for lifting me into that level of being where I could experience Guruji as the swaroopa of the Divine mother and cosmic father. On his birthday (Vaishak pournami 2004) we Guru Bhais had a small informal get together. That day was more than auspicious to us because on that day Guruji had given us the key to Gurutva. Guruji's words were "Everybody knows Nadananda nobody knows Guruji. Do not touch Nadanada. Touch - The Guru". This was my humble effort to do so. I ask forgiveness if I have fumbled. Jai Maa! 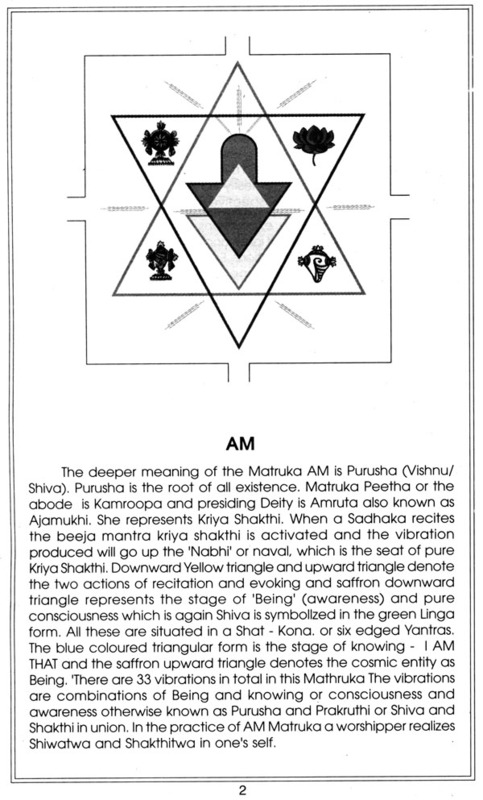 Among the painstalking 12 years research on Srividya, the most strenuous task was working on Matruka Yantras. Working 15 hours daily, it took three years to complete the work on 51 Bijas and its Yantras. Still author feels it incomplete. It is the same incapacity one feels when one tries to describe the taste of sugar. The experience can never be explained, analyzed or taught. The only way - out was to take a handful and eat it. It is so with all spiritual experiences. All the deeper experience that the author went through sometimes makes him doubtful about the competence to transfer it into any known medium. The author had gone through all sort of opposite experiences but made no effort to change the course as both are fruits from the same tree. 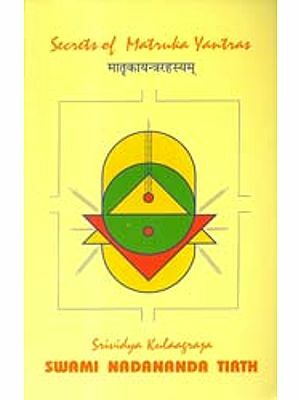 But by attempting to turn these experience into visuals the author only hopes that these Matruka Yantras will be beneficial to Sadhakps who are practicing Srividya with an altruistic heart and iron will. 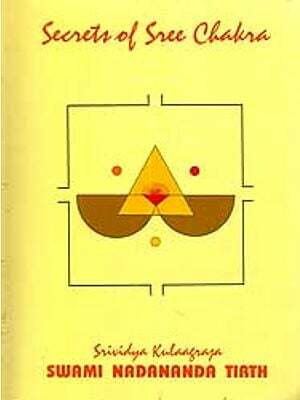 After the release of the book 'Secrets of Matruka yantras many have expressed their wish and need to have a detailed description of the images. 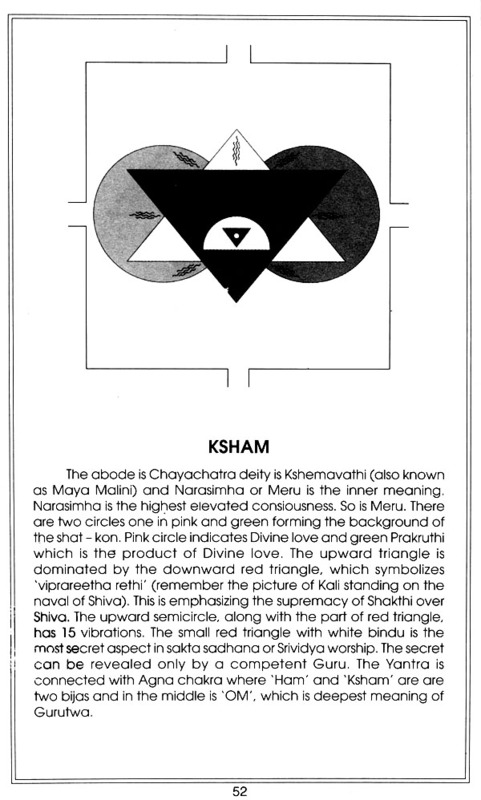 They felt it is necessary to understand the Yantras and their concepts in a brighter light. Smt. G. Uma Radha, a staunch practitioner of Srividya was entrusted with the work. To write a commentary on the mystical experience of another is a very demanding task but she with the grace of Mother, her staunch devotion and help of Gurumandali was able to finish it successfully. Now the commentary ishere. Take it and see yourself in it. Jai Maa!